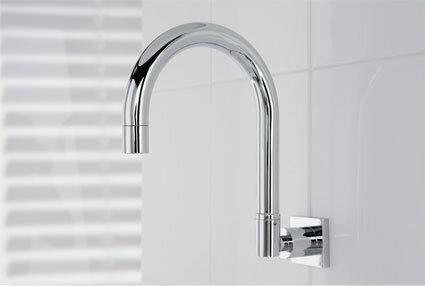 The beautifully stylish and innovative Quattro range features easy to use quarter turn ceramic disc technology or with conventional jumper valves to achieve the softest flow of water throughout the entire range. Easy temperature control is achieved by the inspired use of soft flowing handles minimising the chance of sudden accidental temperature jumps, especially in the shower. The Quattro range of mixers is designed with both straight and gently curved lines creating a unique and elegant finished product that bodes beautifully in all bathrooms. The high quality, easy to clean finish makes bathroom chores a breeze, simply wipe down any part of the range with a microfiber cloth to achieve stunning results and maintain the original shine. The Quattro range is a cost effective way of having beautiful European style in your home for a fraction of the price.